Taking video with smartphone is quite poplular in these days, especially for iPhone users. With the amazing camera, iPhone users can record decent videos in 1080P that provides crystal crisp video qualitity. It is a perfect solution for most cases. So you can freely shot any video during parties, gatherings or coferrences. Needless to mention, iPhone storage is able to save hundreds of videos. Now, think how horrible and terrifying it would be when you realized a few videos from recent trip were deleted by accident? On the other hand, your iPhone might get stuck on Apple logo and it could erase all the photos and videos from your device if you decided to factory reset it. We totally understand, if that's what happened but finally, we will disclose 3 methods in this article to show how to recover deleted videos from iPhone. 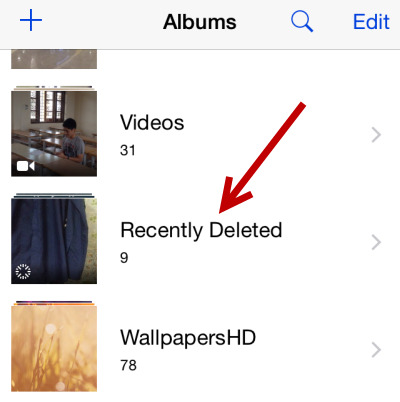 On iOS 9 or later version, there is a new feature called "Recently Deleted Folder", where stores the photos and videos being deleted within 30 days. So if the video was not deleted long time ago, then it is so easy to recover the videos from there. If you don't know where to find recently deleted folder then use the following instruction to recover the deleted files from your iPhone. Step 1: Open "Photo" app on iPhone and tap on "Albums" tab located at the bottom. Step 2: Scroll down the screen and find "Recently Deleted" folder. Usually, it is located at the bottom of the screen. Step 3: Find the lost or deleted videos in this folder and tap "Select" option on the upper right corner. Now select the videos and tap "Recover" option on the lower right corner. Now, the videos will be pulled back to albums. If the videos were deleted 30 days ago, then there is no way to find them with this method. In addition, if ever deleted them from Recent Deletd Folder, then the photos will not in there, too. Please follow the suggestions in below to got them recovered. iCloud Drive is an userful service provided by Apple to help people store their personal data to cloud server. It connects all your other Apple devices like iPad, iPod, iPhone, etc. together in a single valuable spot. If you have backed your videos in your iCloud Drive then certainly you can follow these steps to retrieve them in no time. 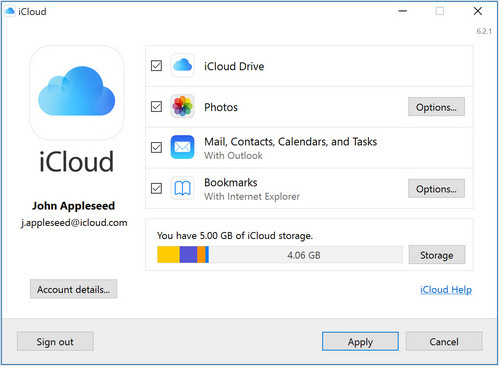 Step 1 : Download the latest iCloud Drive for Windows on your computer and install it. For Mac users, iCloud Drive app was installed in default. Step 2 : Open iCloud Drive software and login with Apple ID and Password. A few minutes later, all file information on iCloud server will be downloaded on your computer; so you can browse the file, such as photos, videos. Step 4: Find the videos that you have lost recently from the iPhone and download it again on the respective device. If you couldn't find the video via iCloud drive, it means the videos were not backed up by iCloud. This is quite common as people are not turning video sync on iCloud because it takes too much time for upload. Don't worry, there is still a way out. Please keep reading and check Part 3. 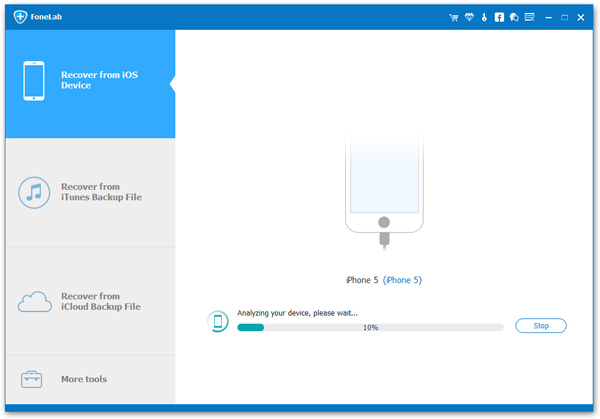 One of the guaranteed ways to recover deleted videos from iPhone is to restore them by using a powerful iPhone data recovery program like Androidphonesoft. 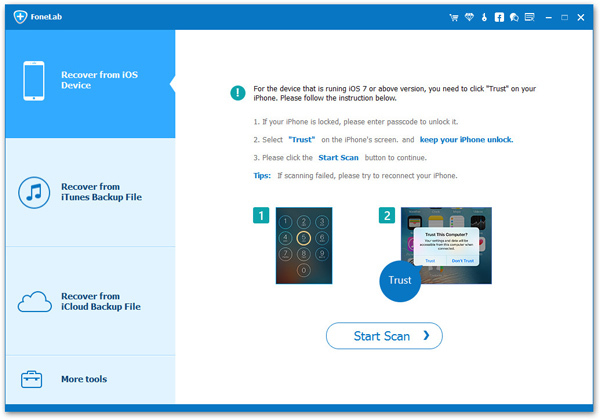 It offers a life-saving and great iOS data recovery tool to retrieve deleted items from all kinds of iOS devices, including iPhone, iPad and iPod Touch. 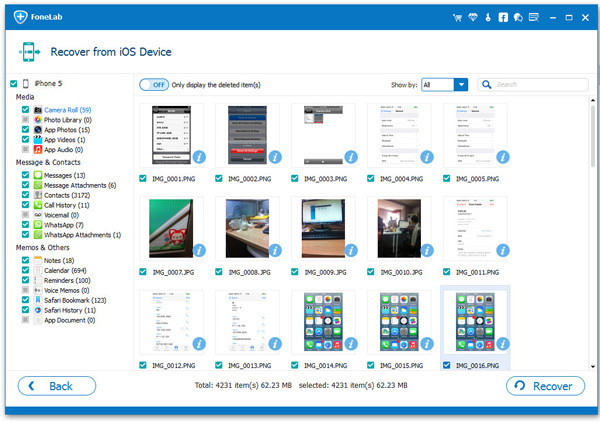 There is an amazing built-in recovery engine that can easily scan deleted files on iPhone. Plus, you can preview deleted files before recovery. Supported File Types : Text Messages, WhatsApp Chat, Contacts, Pictures, Notes, Documents and Call History. Connect your iPhone to computer and it should be automatically detected by the tool. If not, make sure iTunes is installed on computer and tap "Trust this computer" on iPhone. The scanning process will take few minutes but once it is done, you will be able to preview all items in their respective categorized folders. Select "Videos" from the given folder and recover all the video items on your computer. So, the unspoken disaster is finally over as we can make sure that you have successfully recovered all the deleted video from your iPhone. Additionally, you can use the same program to recover other file formats like messages, contacts, pictures, notes, documents, etc. Also you can use the same tool to recover files from iTunes and iCloud as well. It is totally free to install, so go ahead and download the program today and enjoy the full benefits of this tool.